Excellent composition, but a different number is in the picture, and other in the title. Like yesterday. But it’s not important for me, I love it ! Very beautiful and good depth of field, superb!. Love the DOF and the details! Colour is, well – red, good too! 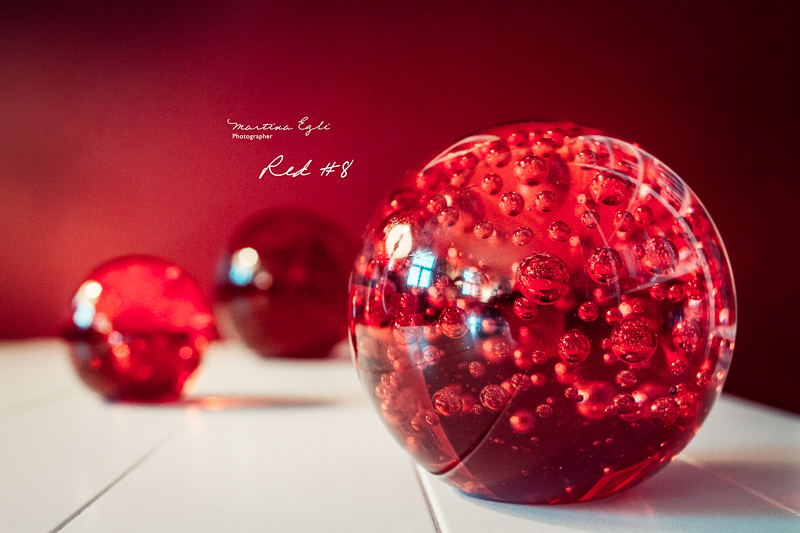 superb, love the way your blog opens to these beautiful red pictures. Bubbles in the bubble. Great idea. Perfect DoF and nice reflection on the bubbles. i like the windows as lights in the bubbles. good installation and shot. Fabulous composition, color, and selective focus! Like always a fantastic composition. And I love sooooo much this red color. Very nice! For some reason I am reminded of the planets when I look at this picture.